Know what is a VPN, and ensure safe online browsing. If you didn’t know already, October was the cyber security awareness month. The purpose of observing the cyber security awareness month is to help spread awareness about online security. The truth is, cyber criminals are almost everywhere and if you’re constantly on the internet, you may make yourself vulnerable to them. Although there have been numerous technological advancements in the recent years, loopholes are galore. Hackers and malware always seem to find a way around them. You need the best security measures and the most effective firewalls in order to protect yourself and your data. This is where a VPN comes in. If you are wondering what is a VPN, then read on to know more. A ransomware is very different from a malware. A malware enters your system and corrupts it. A ransomware, on the other hand, is much more subtle and in some cases, all the more dangerous. The hacker accesses your system and your data in such a way that you won’t be able to access it. The data will be entirely under their control unless of course you give in to their demands. This is a lot like a kidnapping, only here, instead of a person, valuable data is involved. In Europe, at present, there is a new kind of ransomware – bad rabbit ransomware. This has caught the attention of even the top security companies. Nearly five countries in Europe are hit by this ransomware recently. Just to let you know that the bad rabbit ransomware mainly affects business computers. If you want to protect your data, opt for a reliable VPN service. What Is A VPN And How Can It Help Protect You Against Ransomware? If you didn’t know what is a VPN, it’s okay! Knowing what is a VPN is actually a pretty simple concept. Basically, your network would be routed off to the location of the VPN. For instance, live in the east and trying to access a website that is inaccessible in your location. In that case, you can connect to a VPN which routes off your network to say, the States; that way, you get to access which was not previously possible in your location. For instance, Skype is pretty popular way to connect to your loved ones anywhere around the world. However, some national governments have imposed a ban on Skype. If you are unable to access it, you could always resort to Skype VPN to connect to your friends and family. With a VPN router, your geographical location ceases to matter. Now that you know what is a VPN, you must remember a few things. A VPN is an absolutely secure way to access the internet. 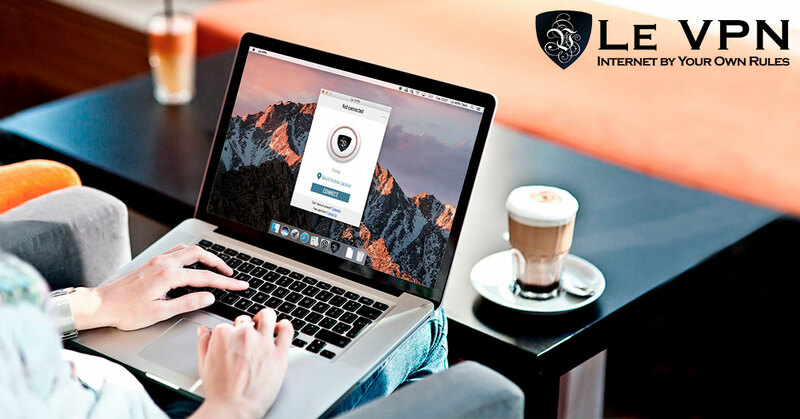 The service providers are aware of the fact that the data that you’re transmitting over the network is important; thus, it is encrypted to provide maximum protection. Also, a VPN comes with a well-developed firewall which helps protect you from bad ransomware. So, to keep you happily safe, Le VPN is the best choice. It is very affordable and easy to use. Subscribe for Le VPN services and enjoy worriless browsing.